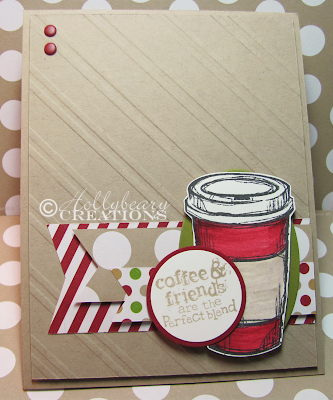 Hollybeary Creations : SSC62 I'm dreaming of Red paper cups!! SSC62 I'm dreaming of Red paper cups!! It's Sunday and that means it's time for a new challenge at Sunday Stamps. This week Kathya is our Hostess and she has created a fun sketch for us. 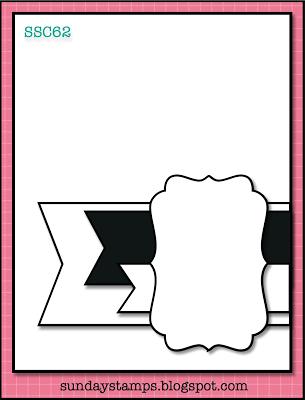 My card base is Crumb Cake and then I cut another panel and embossed it with the Strips Folder from the Holiday Mini catalog. The DSP banners are created with the Seasons of Style DSP Stack. I stamped the Coffee Cup on Whisper white and colored it with the Cherry Cobbler & Crumb Cake Markers. Then I fussy Cut it and added it to a Old Olive Oval I die cut with the Big Shot. I stamped the sentiments in Crumb Cake onto some Whisper White as well and punched it out with the 1 1/4" circle punch and layered it onto a Cherry Cobbler 1 3/8" Circle. There is a ton of dimensionals on this project. I felt it needed a little something extra so I added some Cherry Cobbler Candy Dots to the upper Left corner. Head over and see what the other Design Team members created at Sunday Stamps with Kathya's sketch.. Our challenge runs for 2 weeks so you have lots of time to join in. 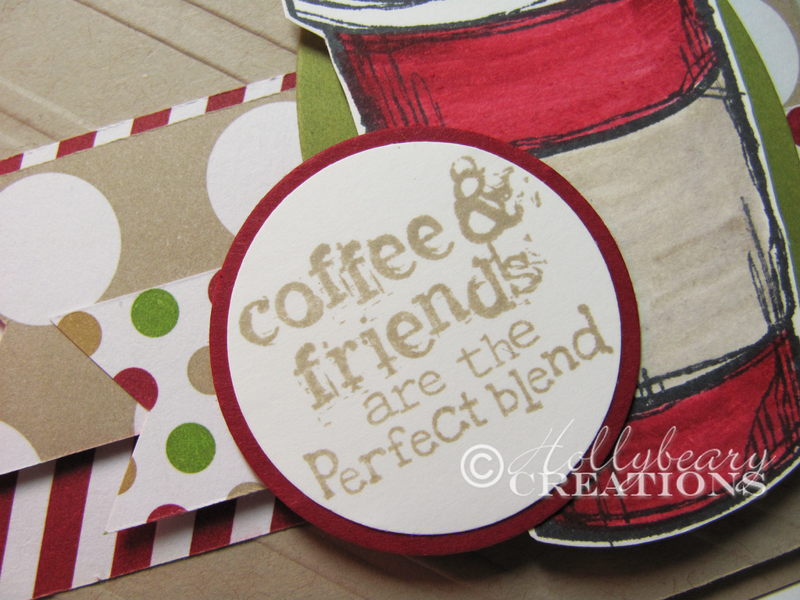 The Create w/Connie & Mary Color challenge is open until Fri 11/8 @ 12pm EST. I love this!! I am thinking that I need to get this coffee stamp, too! Love what you did here! Very fun! Thanks for playing the Saturday challenge at Create with Connie and Mary! Thanks Deb it came out really cute! Holly, this is cute! I almost used this stamp set as well for the sketch. Like the candy dots and the embossing folder. That's funny.. Great minds think a like. Such a cute way to add the banners under the coffee cup! So glad you joined us for our Saturday Challenge at Create with Connie & Mary! Great card, Holly! I love your use of the coffee mug and theme. It looks great the neutral dry embossed background. WOW...GREAT use of this set and the colors! LOVE all your banners on this! COOL! Thanks for joining the SUO Saturday Challenge! I love your 'Red' cup - definitely that time of year! I don't have this stamp set yet, but I just may have to rectify that! So darling! Love the "Starbucks" Christmas theme with the layers of banners! I'm so happy they have Eggnog Lattes back again! lol! 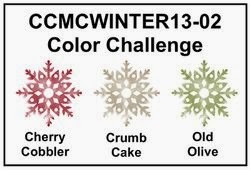 Thanks for playing along with the Saturday Color Challenge on Create with Connie and Mary!